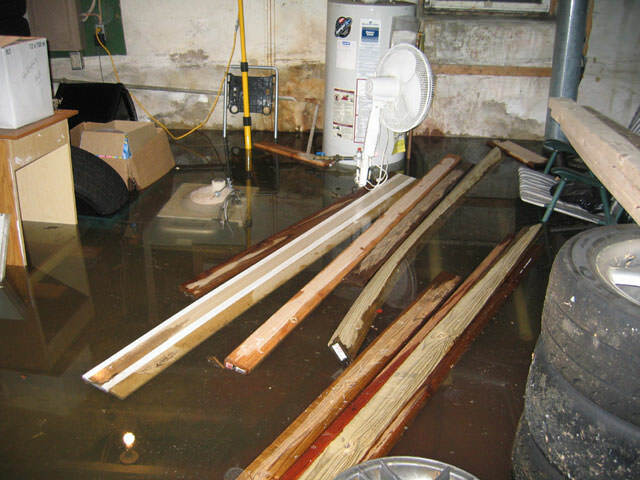 Here at The Basement Doctor of Cincinnati, we've been refurbishing and fixing water-soaked basements since 1987. With over 25 years in the field, we have the knowledge to get the problem solved correctly. We'll take on any basement moisture problem and fix it; quickly and for the last time! We offer all of our Greater Cincinnati customers a free waterproofing estimate. We are Greater Cincinnati's trusted basement waterproofing contractor. Contact us today and set up your appointment! Before discussing our waterproofing system, you need to first understand why your basement is wet. The earth surrounding your basement contains water, which presses up against the foundation walls of your home. Water outside of the basement will constantly be trying to come in. This is especially true in areas with high groundwater or during a rainstorm. As the external water presses up against your basement walls it enters in three ways. The first is through obvious openings like basement windows and entrances. The last way water gets into your basement is directly through the concrete. Concrete is porous and has tiny air bubbles throughout. 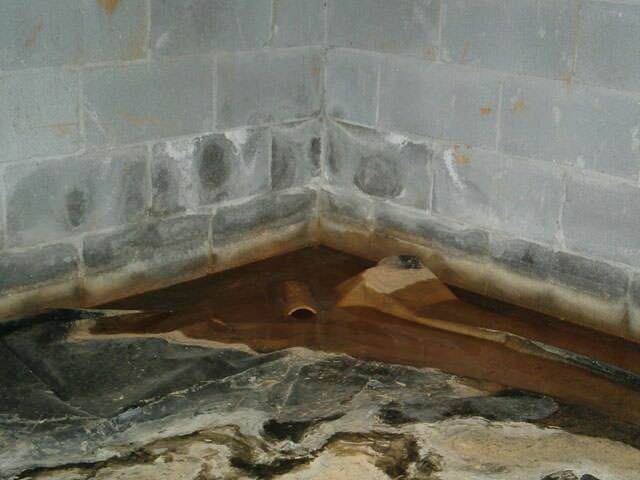 Water vapor can slowly make its way through your basement wall and seep into your basement. So water can make it straight through a concrete wall! That is the bad news. The good news is that our basement waterproofing system takes care of all these problems. The Basement Doctor of Cincinnati is a member of Basement Systems, Inc., the largest network of basement waterproofing contractors in the world. 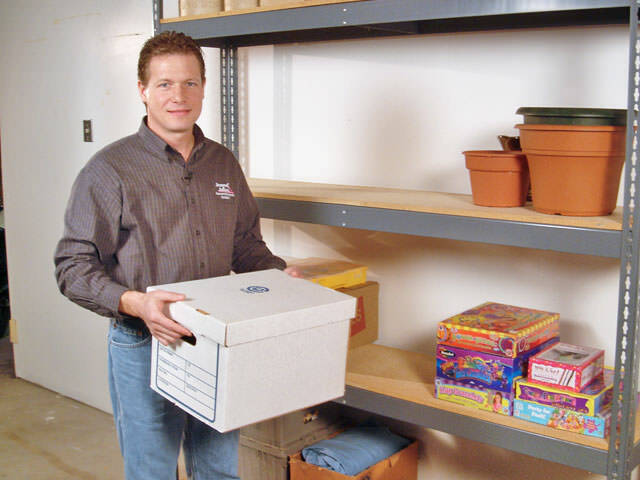 As part of this network, we receive access to patented basement waterproofing products. The waterproofing products have been designed and tested over 25+ years and been successfully installed in hundreds of thousands of homes throughout the U.S. Canada and the United Kingdom. We are the only licensed Basement Systems dealer in Greater Cincinnati. This means other basement waterproofing companies in the area have to rely on inferior waterproofing products. All of the waterproofing products fit together to form a comprehensive basement waterproofing system. The first part of the system is a hidden drain which is placed in a channel jackhammered along the inner perimeter of the basement. After installation the drain is covered with a fresh layer of cement, making it 'invisible'. Any water that enters the basement through the concrete, wall cracks or the wall joint is collected into the drainage channel. 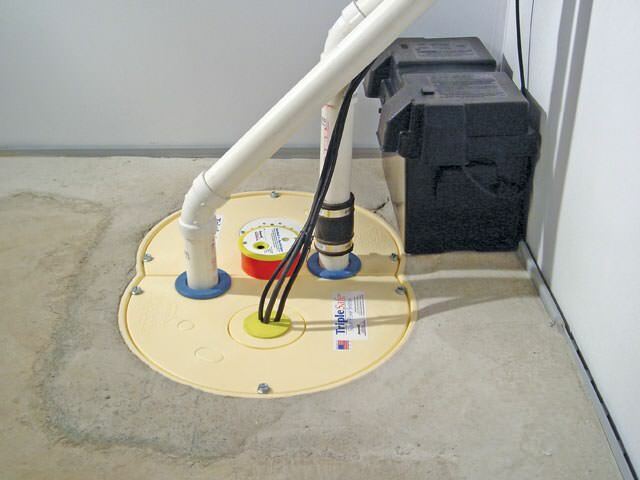 The drain channels the water to a sump pump, generally installed in the corner of your basement. 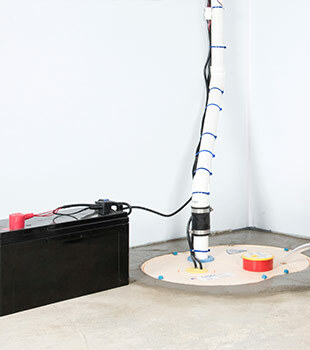 The sump pump pumps the water up and out through a drainage pipe which runs underground away from the home. 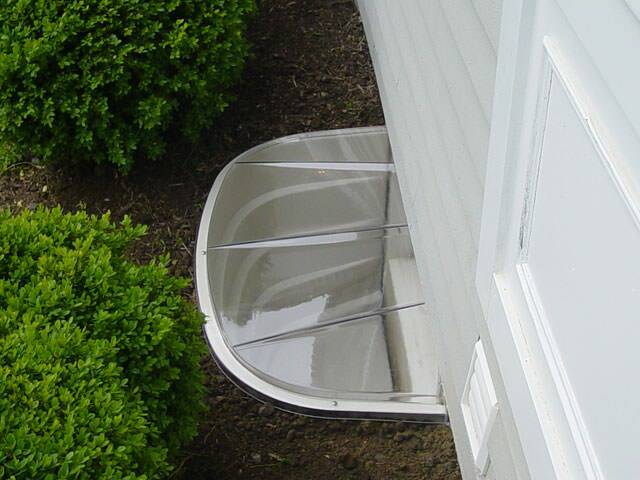 The water is finally expelled safely away from your foundation through a french drain. 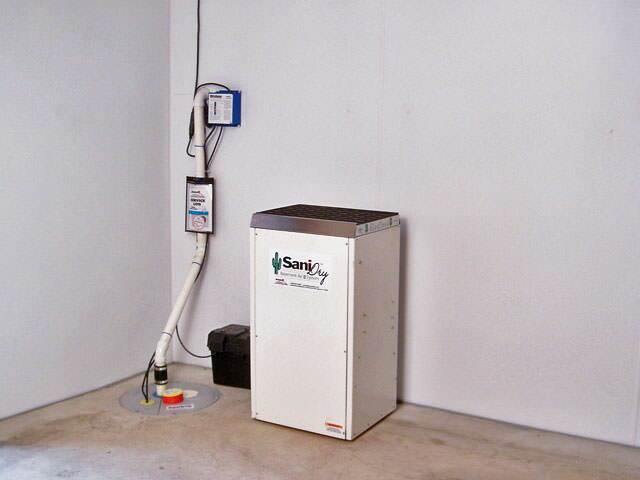 A specially designed basement dehumidifier is also installed to keep the relative humidity of the basement low enough to prevent mold growth and rot. 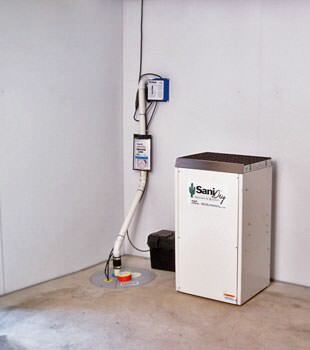 Any water collected from the basement dehumidifier is emptied into the sump pump. The system works quietly and effectively, keeping your basement dry and protected. by offering the lowest price. What they won't tell you is that they are installing cheap, low-quality products in your home. At The Basement Doctor of Cincinnati our focus is on creating the highest quality waterproofing system that will last the lifetime of your home. Instead of a cheap, plastic corrugated pipe for drainage, we use a custom-designed steel drainage channel. Instead of an off-the-shelf sump pump, we install a cast-iron pump, backup pump and battery-backup (in case of a power outage). We may not be the lowest price of all the basement waterproofing companies you speak with. But, we will offer the highest-quality system and the greatest value for your home. Having the best basement waterproofing system does not mean much if the installers don't know what they are doing. That is why The Basement Doctor of Cincinnati has its basement waterproofing specialists receive advanced training and certification at the Basement Systems headquarters. When one of our waterproofing specialists enters your home, they bring years of experience and expertise with them. When you speak with any of our specialists feel free to ask them about their training and waterproofing work. They will be proud to tell you. When you speak with other Greater Cincinnati basement waterproofing contractors make sure to ask them about their expertise as well. Our goal at The Basement Doctor of Cincinnati is to provide you a waterproofing solution that will last the lifetime of your home while providing you with the highest customer service. This means that we show up on time, we finish our work on schedule, we stay within the agreed budget and we address any of your concerns. We want you so excited about the end result that you tell all your neighbors about us. Now that you know why your basement is wet, how are waterproofing system works and why you choose us as your basement waterproofing company, the last step is to call. 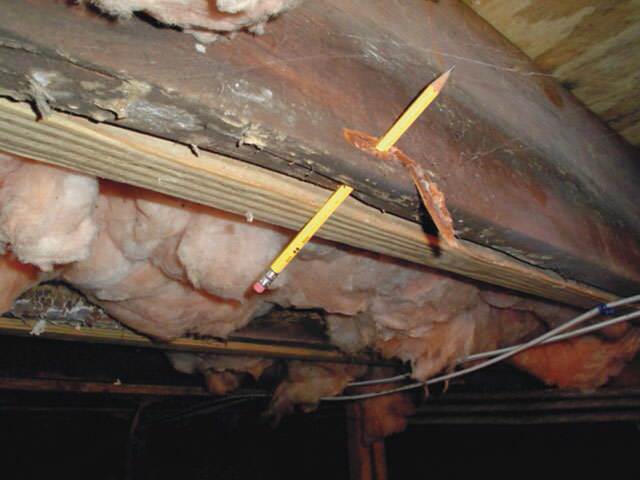 1-844-202-4338 We will set up a time for a free basement inspection. One of our waterproofing specialists will inspect your home and explain the issue and how it can be fixed. They will answer all of your questions and leave you with a free, no-obligation cost estimate for the needed work. We proudly service Hamilton, Fairfield, Mason, West Chester, New Albany, Middletown, Fairfield, Loveland, Fairborn, Jeffersonville, West Chester, Mason, Xenia, Miamisburg, Troy, Milford, Franklin, Lebanon, Piqua, Wilmington, Troy, Terrace Park, and the surrounding areas in Ohio and Indiana. Our professional basement technicians are ready to provide you with a FREE, no-obligation waterproofing cost quote, specifically designed for your space. Contact us today!